Tropical and Sport Fish Jewelry in 14k Gold and Sterling Silver. 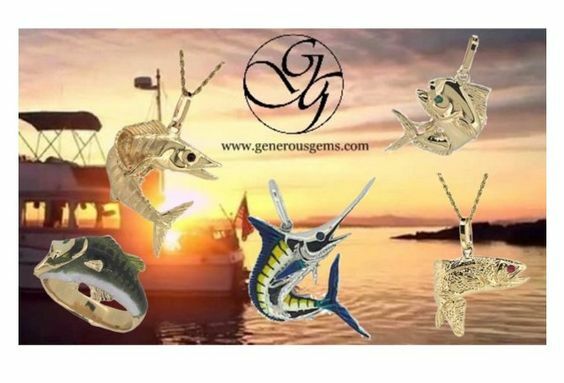 Search our catalog of 14k Gold or Sterling Silver Freshwater Fish, Tropical and Sport Fish Jewelry for the item you want to remember from visiting the lake or stream a memento of your favorite sea creature that you caught fishing! We offer many favorite styles of fish jewelry plus much, much more. The designs we offer are sure to become a treasure of a lifetime!